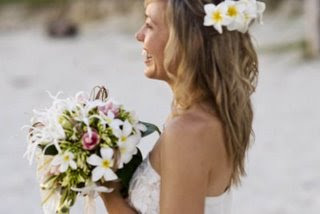 With titles like; two time Golden Guitar Winner, two time CMAA Independent Entertainer of the Year, three time Mo Award Winner, and two time Australian Country Music People’s Choice Award Winner, it’s amazing that Australian country singer/songwriter Felicity Urquhart had a spare moment to plan her wedding. Magnet PR sat down with her to chat all about it. Tamanu On The Beach in Vanuatu. \It rained seriously heavy all morning and I thought we were going to have to move the wedding off the beach..but the gods were smiling and it stopped after and never rained another drop. Keep it stress free and go to Vanuatu. 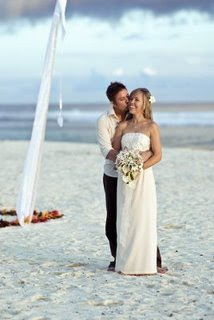 A tropical wedding in the South Pacific is so magical, easy to plan. We have the best memories and our dream wedding was a reality. A small wedding party of 25 special people we love at a great location with superb food to match. My mum made the dress and I loved it! !She has made dresses and done alterations for my family all my life. I felt very special wearing this creation knowing mum had put a lot of love into it. An elegant straight simple style with small train, just perfect for a beach wedding .